Few careers are as rewarding as a career in sales and few are as lonely when things aren’t going well. I spent a number of years in direct sales. I experienced the highs of success and the lows of a slump. For the past 10 years, I have written B2B sales training for a major corporation. All of this experience has taught me one important thing about sales. Motivation is critical to ongoing sales success. Perhaps you have a mentor, a colleague, or a great manager who is there to pump you up when things go south. The truth is we all know that the only source of motivation we can rely upon is ourselves. Here are some sales affirmations that I have used over the years. I hope you will find them helpful. Now get out there and bust that quota! A great sales person lives within me! Today that sales person shows up at my appointments! Month after month, I am the top salesperson in my office! I am the best salesperson in my office and this month I prove it! My most important product is me! I believe in that product and I am always ready to sell it! My company sets my quota, but I set my goals! This month I blow my quota out of the water! I always have a funnel filled with quality prospects and leads. I am a winner! I look like a winner! I sell like a winner! I succeed like a winner! 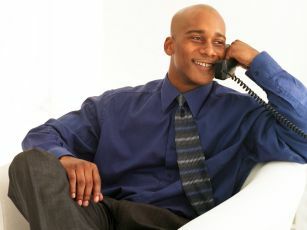 I love the pressure of cold calling. The pressure sharpens my skills and gets me more sales! Excellence is my personal brand. My commitment to it is unwavering! I believe in my selling abilities! I win deals by outplanning and out-preparing the competition. I am a shoe-in for president’s club this year! I think positive and prosperous thoughts for myself, my sales team, my company, and my customers. In my selling world, everyone wins! I thrive on objections. I listen to the objection. I process the objection and I handle it! Nobody closes a deal the way I close a deal! Stay inspired! You have no more powerful ally in sales than your mind! Ray Davis is 20+ year sales and sales training professional and the founder of The Affirmation Spot. He’s spent more than 25 years studying personal development, especially affirmations, and using them to achieve his goals. Check out this Sales Mantras video on our YouTube channel. It will have you implementing sales best practices into your selling process quickly. These affirmations are powerful! Great blog, Ray. Keep positive affirmations short and to the point. These are also easier to remember. Say them regularly through the day. If you suffer from stress or negativity affirmations will help you develop a powerful and positive attitude to live a successful, healthy and fulfilling life.